There are moments that feel comical, some horrific, and some downright inspiring but the tonal shifts hardly matter as the end results come to a film that's perfect for this time. It's 2002 in Rochester, New York, and the Valentino family have four grown children who are all facing their own battles and trying to make ends meet. Two major events progress the film: the marriage of their daughter Max to Andy, and Mitch and Christian trying to pull their family business out of debt. Through the entire film, there is a constant tension hanging in the air, and some hints that there is more to this family than we know.Even from the synopsis, the first thing to notice is that the film juggles an enormous ensemble cast, each with their own storyline. There are eight characters who are given focus, which ends up delineating the narrative. In this sense, the film feels more like something made for television, without a clear through line as to what the message of the film is, because a movie runtime isn't enough to finish any of these stories. Toward the end of the film, the main message is revealed, but it lacks the build-up or punch that it could carry because it's a plot point the audience hasn't even seen as the main part of the story. Personally, I had been focused on other elements and didn't realize until after the big reveal that I should have even been looking for that.To make matters worse, a lot of these stories don't quite add up. There's an aunt character (based closely on the writer's true life) who feels completely expendable to the film's forward motion. Yet she gets plenty of screen time, including a quick romance that has nothing to do with the family. In an interview, writer Sabrina Gennarino stated that this was based off of a real character in her life (as are most of the protagonists), but this is a perfect example of a character that adds little to the story and could be left on the cutting room floor. Some worse examples are sequences that don't make sense. Nicky, one of the brothers, refuses to serve a customer for a reason we assume we'll find out later, but never do. A fight ensues, but without knowing why, it leaves little personal impact. With a sprawling ensemble cast, these little character errors add up more than enough to become distracting.As a drama, the film is effective in that it isn't difficult to connect with what the characters are going through. However, like many movies billed primarily as a drama, there isn't much to make light of in the film. It feels thoroughly moody to the point of melodrama. 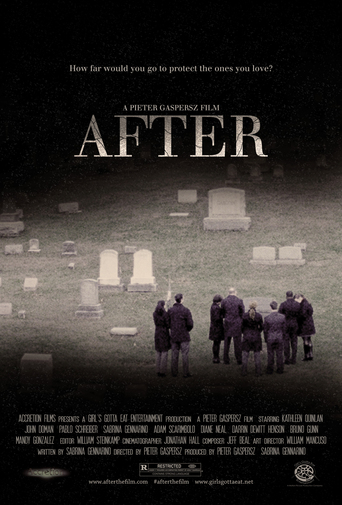 While After does feel like the honest and personal film it has set out to be, its pitfalls are many, and enough to detract the viewer from connecting to the characters. However, the ensemble offers a diverse slate of actors each with moments to shine, and promises further potential in the future for all parties involved. Greetings again from the darkness. Family dynamics often make for entertaining movie fodder. The possibilities are endless and source material is in full supply, given that most of us have enough stories to write our own book! This latest from director Pieter Gaspersz drops us right in the middle of the Valentino family, and all the bickering, conflicts and secrets that any one family can generate.The script is from Gaspersz' wife, Sabrina Gennarino, who also stars as daughter Maxine, one of the key characters in the film. 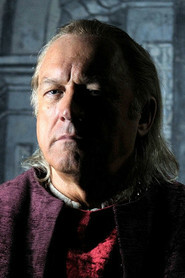 You will probably recognize her along with many of the other actors who make up the family, though you may not recall all the names. 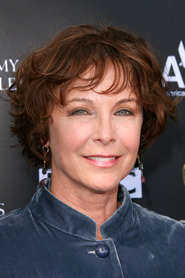 Kathleen Quinlan plays the mother, and it doesn't take us long to realize everyone is tiptoeing around her - we just aren't sure why. Her husband is played by John Doman, and he is the most difficult character to connect with because he coddles his wife and basically ignores his (grown) kids ... even Christian (an underrated Pablo Schreiber), the son who has taken over the family stone business. 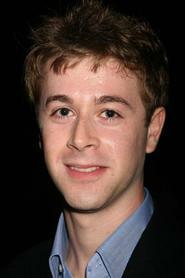 Adam Scarimbolo plays Niky, the family screw-up (well, one of them anyway). Niky is lost in life, and it's obvious the conflict with his dad must be resolved before he can really grow up. Aunt Kat (the mom's sister played by Diane Neal) is apparently around to help out, but she spends most every day chugging booze.While it may sound like an impossible family to understand, there are moments that strike an emotional chord and make the film quite watchable. There is some choppiness in the presentation, but it's beautifully filmed by Jonathan Hall, and pretty solidly acted by the entire cast. The themes of loss, grief, deception, and family (mis)communication are sometimes far-fetched, and other times spot on. The father's concern about "protection" for his daughter comes across as a bit awkward, until the big reveal towards the end. At that point, we all understand what he means by protection and why he had his doubts about her fiancé (played by Darrin Dewitt Henson). Until the reveal, there are times it plays like an extended episode of TV's "Parenthood", but in the end, the puzzle is mostly complete and the payoff is satisfactory. I saw this film in the theaters up in Rochester. Beautiful classic film done the way movies should be done. The acting was outstanding. Didn't know who anyone was except Kathleen Quinlan from Hills Have Eyes but man every single one of the cast members were lost in their characters. It brought me in and at the end I could help but be on the edge of my seat. I have not seen a movie in a very very long time that had every element working for it like AFTER. This is how movies used to be now they're just all over the place and the writing is just surface. After allowed me to get lost in the movie. It was awesome - 10 out of 10. The message was so powerful. The director did a great job pulling this one off. Amazing. So not what I was expecting.